Over the years, I’ve owned several outstanding Classé products. In fact, my reference system was originally built around a bevy of Classé Delta-series flagships, including an SSP-800 surround-sound processor ($9500 USD), CA-M600 monoblock amplifiers ($14,000/pair), a CA-5300 multichannel amplifier ($9500), and, later, a CP-800 two-channel preamplifier-processor ($6000). While the Delta- and CT-series models continue to be the crème de la crème of what Classé has to offer, they no longer denote the only members of the Classé family. 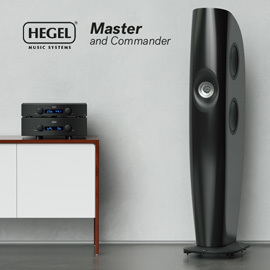 There is now a line of highly versatile yet lower-priced models, the Sigmas, which Classé says grew from their two-channel products but are designed for both music and home-theater enthusiasts. At this time, the Sigma series comprises the AMP2 two-channel amplifier ($3500), the AMP5 five-channel amp ($5000), the Mono monoblocks ($8000/pair), and the subject of this review, the SSP audio/video processor ($5000). As I removed the Classé Sigma SSP from its molded-foam packaging and protective bonnet, its dimensions of 16.9”W x 3.7”H x 14.4”D and weight of 18 pounds reminded me of its two-channel counterpart, the Delta CP-800. While the two models share Classé’s famous attention to detail and ergonomics, the latter by way of their wonderful 4.4”, blue-and-white TFT touchscreens, the Sigma SSP and CP-800 show decidedly different approaches in construction and appearance. The most obvious difference, other than its Darth Vader look, is the Sigma SSP’s huge volume control -- a svelte, flush-mounted knob that almost fills the right side of the solid faceplate of brushed aluminum. At the center of the front panel is the touchscreen, surrounded by a luxurious-looking frame of gloss-black cast aluminum, along the top of which appears the Classé logo, and along the bottom the model name. Subtly incorporated into the sides of the frame are two black buttons: menu access on the left, muting on the right. In the upper left corner of the faceplate is a Standby/On button: it glows red in standby, green during boot up, and blue when the Sigma SSP is fully on. Directly below this, at the bottom of the faceplate, is an IR sensor; to its right are a 1/4” (6.35mm) headphone jack, a USB input dedicated to streaming from and charging Apple products, and an HDMI input for streaming from a computer or connecting a camera. The Sigma SSP’s rear panel is more similar to that of the CP-800 than of Classé’s flagship processors, the CT-800 and SSP-800. At the left are a main power on/off toggle, an IEC power receptacle for the removable power cord, and RS-232 and CAN-Bus in/out communication ports -- all common Classé offerings. On the lower left are five digital inputs: three S/PDIF coax, two optical, and one asynchronous USB Type-B (capable of accepting signals of up to 24-bit/192kHz resolution). There’s also an Ethernet port for connection to your network, enabling streaming audio via AirPlay, DLNA-supported formats (FLAC, WAV, WMA, ALAC, AAC, MP3, Ogg Vorbis), and full control of the Sigma SSP via a remote app. There’s also a single S/PDIF coax output. Just left of bottom center are one balanced (XLR) and two unbalanced (RCA) analog inputs, these flanked on the right by a single pair of balanced outputs (XLR), followed by six unbalanced outputs (RCA) intended for 5.1 connectivity, and a supplementary pair of unbalanced outputs (RCA). These last two outputs, labeled Aux 1 and Aux 2, can be configured for an additional pair of rear-channel or height speakers, a pair of downmix channels, or for biamping the main channels. Spread across the top of the rear panel are seven HDMI 1.4a inputs and one HDMI 1.4a output, all capable of passing full 1080p 24/50/60fps video signals, plus 3D, but not 4K. Like Classé’s CT/SSP-800, the Sigma SSP’s HDMI inputs provide video switching but no video processing. However, video content can be viewed on the color TFT touchscreen using the Video Preview feature, which I found handy -- I could display and manipulate the menu settings of attached components without having to fire up my projector. The Sigma SSP decodes most current audio codecs, including Dolby TrueHD, Dolby Digital Plus, DTS-HD, and DTS-HD MA. Its many postprocessing options for mono and stereo include Movie, Movie Plus, Music, Music Plus, Matrix, Matrix Game, Dolby PLIIx, Dolby PLIIz, Dolby EX, DTS Neo:6, DTS Neo:6 Music, DTS Neo:6 Cinema, and DTS Neo:6 Discrete. The Sigma SSP does not currently decode Dolby Atmos, DTS:X, or Auro-3D -- but Dave Nauber, president of Classé Audio, told me that redesigns are in the works that will upgrade the Sigma SSP’s video board to HDMI 2.0 with HDCP 2.2, and its audio DSP board to enable decoding of Dolby Atmos and DTS:X, while also offering 5.1.2 setup flexibility. To implement a balanced signal path properly, it requires twice the cost of a properly done single-ended signal path because a balanced circuit is literally two single-ended paths sitting side by side. The alternative is to take the budget allotted for each channel and spend half as much on each of the two single-ended paths that make up the balanced circuit so you arrive at the same cost for a compromised balanced as for a properly done single-ended path. This is a dangerous game with balanced circuitry because balanced circuits, also called differential amplifiers, get their improved S/N ratio by subtracting two signals from each other. Any noise and distortion that is the same on both signals is subtracted away, but anything that is different gets amplified. Cheaper circuits of lower quality are different/inconsistent enough, or not identical/symmetrical enough, one to the next, that you actually amplify noise and distortion because you literally amplify their differences. 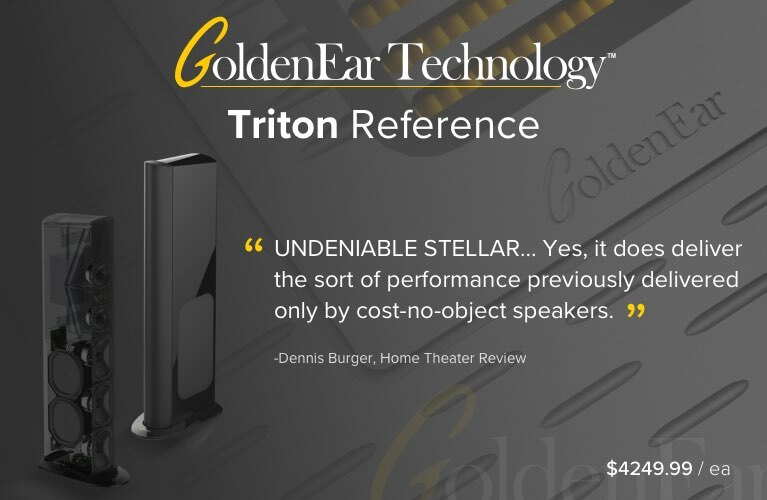 For this reason, we implemented the center, surrounds, rears, and sub with excellent-quality single-ended circuits, and created the front L&R balanced outputs by employing two of these excellent single-ended circuits per channel. There are also no analog video connections, no secondary HDMI output option, no analog multichannel inputs, no additional zone capabilities, and no wireless connectivity -- all features offered by my Marantz AV8801, at roughly two-thirds the Sigma SSP’s price. Classé has also minimized costs by designing a less-exotic chassis of stamped steel; the front, top, and side panels are of aluminum. The feet of the Sigma SSP are perhaps the most obvious example of frugality, in both construction and application. Similarly, the accompanying remote-control handset looks and feels more like something included with an Apple TV than a $5000 AVP. Surprised by the Sigma SSP remote’s lack of stature, build quality, functions, and overall responsiveness, I asked Nauber about the remote. He said that Classé feels that most buyers of its products tend to use their own universal remote or control system, or will use the Sigma SSP’s remote-control app (included). It thus made no sense to Classé to design and include a large, costly, feature-laden remote handset when that money could be better spent elsewhere. Guilty of using a standalone control interface myself, I appreciate Classé’s reasoning. Furthermore, I found the Sigma SSP’s remote app intuitive to use, rock solid in operation, and chock full of features competitors should take note of. I particularly enjoyed being able to view and select from a list of postprocessing modes on the fly. Also handy are buttons dedicated to various user-defined configurations (more about this later), parametric equalizer settings, and the inclusion of a receptive virtual volume knob. Having placed the remote handset back in the box, I popped the Sigma SSP’s hood to see where some of those reallocated funds might have been spent. Because the Sigma SSP occupies such a small case, one might expect its innards to be cramped and convoluted. I saw no such thing. The HDMI board, at the rear left, will be easy to get at when the planned HDMI 2.0 upgrade becomes available. The Texas Instruments-based DSP board is equally accessible. I noted the efficient use of multilayer circuit boards throughout, as in the costlier CP-800, with which the Sigma SSP shares several circuit blocks and critical parts. In fact, the Sigma SSP’s USB, network, coax, and optical digital signal paths are all lifted directly from the CP-800. For its left and right channels, the Sigma SSP also makes use of the Wolfson WM8741 DAC chips used in the CP-800, albeit only half as many -- the Sigma SSP’s circuitry is differential, the CP-800’s dual differential. For an additional $500, the Sigma SSP can be ordered with the same phono module used in the CP-800 (also upgradable after purchase), and even borrows from the almost-twice-as-costly CT-SSP and SSP-800 the same volume controller and analog-to-digital converters (ADCs). While not identical, the topologies of the analog filters and buffers in the output stages of the CT-SSP/SSP-800 are also said to be quite similar to the Sigma SSP’s. Finally, the Sigma SSP, like the CP-800, uses a proprietary switch-mode power supply (SMPS), replete with custom transformers and power factor correction. The Sigma SSP surpasses the SSP-800 in its ability to operate as a renderer for both AirPlay and DLNA sources. Supported formats for this feature are Apple Lossless (ALAC), MP3, FLAC, WAV, Ogg Vorbis, WMA, and AAC at resolutions up to 24-bit/192kHz. Realizing that many prospective buyers will use this, Classé has implemented a unique master-clock mode that uses an onboard clock rather than relying on external clocks further upstream. Classé claims that the Sigma SSP’s onboard clocking yields a higher level of performance than is typically found in components that support AirPlay and DLNA. Last, the functionality of the Sigma line’s parametric equalizer (PEQ) has been improved; it can now correct nine bands per speaker, instead of the five-band limit of the PEQs in the costlier CP-800, CT-SSP, and SSP-800. The efficient adaptation of components from the more costly Delta/CT series and the integration of new circuits specific to the Sigma SSP have resulted in exceptionally low noise levels: 0.0005% for digital and bypassed signals, 0.002% for processed analog signals. A keen eye (or ear) will also note that the maximum outputs of 9V RMS (single-ended RCA) and 18V RMS (balanced XLR) are pretty much identical to the CP-800’s, and the signal/noise ratios are a tick better than those of the SSP-800: 104dB, bypassed analog source; 101dB, processed analog source; and 105dB, digital source. One of the things I grew to appreciate while owning Classé’s SSP-800 and CP-800 was their outstanding ergonomics. In my review of the CP-800, I stated that “I found the CP-800’s display easy to use, responsive, and intuitively laid out.” The Sigma SSP was no different. It uses the same touchpanel, and builds on the CP-800’s comprehensive menu pages, replete with features unique to Classé. 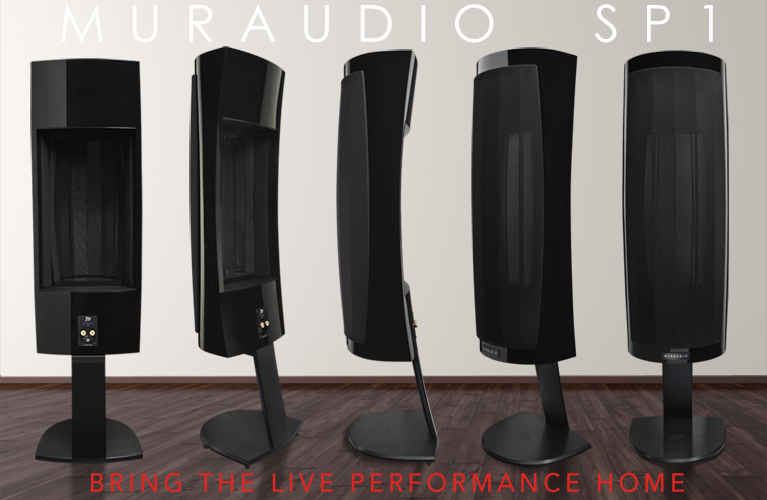 One such is what Classé calls Configurations: six user-defined settings customizable for various operational preferences, including two-channel stereo, stereo with subwoofer, and multiple ways of managing bass. 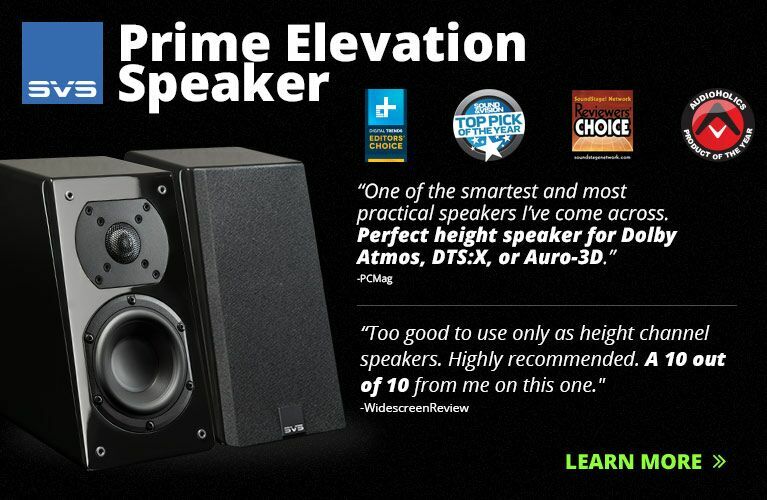 Within each Configuration, the gain and distance can be set for each speaker. Classé also provides digital-domain tone controls, and a Tilt control for fine-tuning the tonal balance -- I left all of these at their default, flat settings for the duration of my listening for this review. I did, however, populate four of the six Configurations. The first was set up for two-channel stereo listening with the left and right speakers running full range. I used this to evaluate the analog signal path with the Digital Bypass option selected. When engaged, this feature turns off all digital-processing circuitry. I also used this stereo Configuration for evaluating sources both with PEQ engaged and without. The second Configuration brought my two JL Audio Fathom f112 subwoofers into the fold. The final two Configurations I optimized for different listening positions while watching movies: one for front row, and one for rear row. I ran those last two Configurations only with PEQ activated. 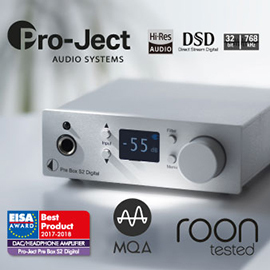 To ensure that my Simaudio Moon Evolution W-7M monoblocks and Rotel RMB-1585 amplifier were good and toasty for evaluating the Sigma SSP as a two-channel preamplifier, I first appraised the Classé’s performance as a surround-sound processor, using an Oppo BDP-103D universal BD player as my source. I watched director Christopher Nolan’s The Dark Knight -- the Sigma SSP did a commendable job of communicating the highly dynamic scope of chapter 20, in which the Gotham PD is using an armored vehicle to transport Harvey Dent (Aaron Eckhart) to a secure location. 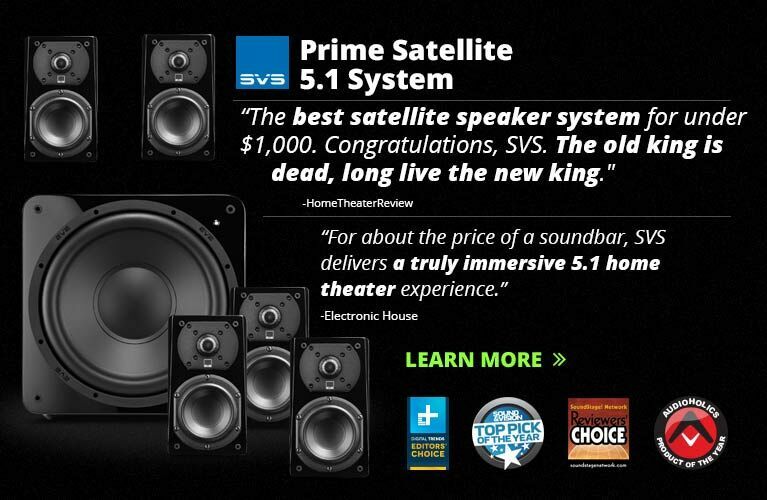 Time and time again, this scene has proved a one-stop shop for all things challenging to home-theater gear. It begins with the horn of a semi signaling the attack to commence. Through the Sigma SSP, the horn had appropriate volume, and sounded refreshingly airy and unconfined by the boundaries of my room. Immediately after, the Joker makes his presence known by killing a street cop at close range with a shotgun. Having recently visited my local range and fired one of these, I knew exactly what it was supposed to sound like, and the Classé did little to stand in the way of communicating the immediacy, impact, and intensity of the shell being fired. I could also clearly hear the echo of the shot, fired outdoors, decaying into nothingness. This lack of congestion was consistently complemented by an ease of articulation easily perceptible throughout the scene, and was most convincing when the Joker smashes his semi into a SWAT vehicle, forcing it to crash through a concrete meridian and then into a river. The impact of the vehicles colliding was instinctively satisfying, and I appreciated how the splash of the SWAT van hitting the river actually sounded like water splashing, followed by drops falling back into the river, as opposed to the slightly more homogenous whoosh presented by my Marantz AV8801 ($2999 when available). As the scene progresses and the Joker signals the attack on the armored vehicle, bullets and buckshot hitting the back of the transport were conveyed with coherence and tremendous transient control. I could easily differentiate the various calibers of the weapons fired by the pitches of the sounds of the bullets and shrapnel striking the armor. Despite the increasing volume of background explosions, gunfire, mechanical noises of vehicles, and the musical score, the sound through the Sigma SSP was never congested; each element of the soundtrack was delineated in its own layer in space, while the dialog maintained a decent level of intelligibility. For me, the latter is a key thing to listen for when evaluating home-theater equipment: Dialog can sometimes get drowned out or sound compressed in scenes full of highly dynamic and demanding sound elements. Through the Sigma SSP, I heard little that concerned me, and thoroughly enjoyed the effortlessness with which it reproduced everything I fed it. In dramatic or comedic films, whether Ron Howard’s Rush or Judd Apatow’s This Is 40, dialog remained clear and concise -- yet my Marantz was able to communicate a hint more tonal accuracy. Perhaps this was due to the superior counteractive abilities of Audyssey’s MultEQ XT32 room-correction software. Aside from that, musical scores were appropriately balanced among all channels through the Sigma SSP, and the overall sound was natural and fulsome -- on a par with what my Marantz could do. Multichannel concert films, such as Diana Krall’s Live in Rio and Pink’s Funhouse Tour: Live in Australia, had equal levels of liveliness, dimensionality, and focus -- with each, I began to feel as if I were attending the event instead of just watching it on a screen. Fully satisfied with the Sigma SSP’s multichannel prowess, I evaluated its reproduction of two-channel recordings. I began by assessing the Sigma SSP’s analog performance by selecting my first Configuration: Digital Bypass. For this test, my Calyx Femto DAC ($6850) did all the digital heavy lifting, connected to the Classé with Analysis Plus Silver Oval interconnects, and to my Simaudio MiND streamer with an AudioQuest Coffee AES/EBU link. Listening to the first notes of “Hello,” from Adele’s 25 (16/44.1 FLAC, XL Recordings), yielded a pleasant surprise: The Sigma SSP was remarkably transparent, particularly in contrast to the AV8801. Through the Classé, Adele’s voice soared at center stage, sounding simply massive in scale. 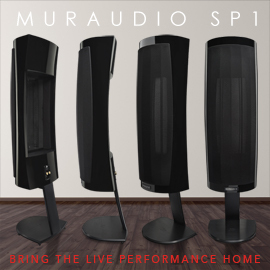 As her backing singers entered, their holographic presences imaged well outside the baffles of my Rockport Technologies Atria speakers, and only emphasized the solidity of Adele’s voice, which remained anchored at center stage. By comparison, the Marantz AV8801 produced a warmer, smoother, yet smaller sound, and failed to as convincingly communicate Adele’s unwavering dynamic power. 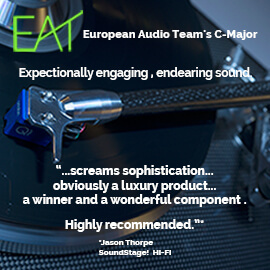 Furthermore, through the Marantz, the backing singers were placed barely outside the speakers, and thus lacked the realism and dimensionality so effortlessly reproduced by the Classé. The Marantz also painted piano notes in a different light, again adding a measure of warmth and liquidity that some might enjoy but that, strictly speaking, came at the expense of microlevel resolution: faster note decays, less air around instruments, and a bit less texture in Adele’s voice. By contrast, piano notes complemented by lingering decays flowed through the Classé, sounding rich, harmonic, and clearer in their intended volume, due to the Sigma SSP’s notably lower noise floor. When I focused on Greg Kurstin’s bass in the chorus, the Classé exhibited a density in the lower end that ever so slightly masked the last iota of textural detail, but remained forthright in its presentation, and clearly laid the foundation of the track, prompting a foot tap or two. The Marantz sounded somewhat rounder and less resolved in the bottom end, and at times struggled to match the Classé’s depth and authority. Switching to my second Configuration, I removed the Calyx from the loop and piped digital signals from the MiND directly to the Sigma SSP via an Analysis Plus Digital Crystal S/PDIF link. While the overall sound was similar, it was unquestionably different from before. Adele’s voice was now farther forward on the stage, more vivid and cool in overall tonal color, and borderline shouty in comparison. Kurstin’s bass grew a shade darker in tone yet lost nothing in overall attack, and while I heard similar levels of dimensionality from Adele’s backing singers, they now seemed ever so slightly less focused and palpable. If I had to pick one word to describe the sound of the Classé at this point, it would be lively. Activating the PEQ helped to smooth a couple of peaks in the bottom end and marginally balance the midrange, and yielded a bit more focus. Now convinced that leaving PEQ on was the way to go, I cued up “Freddy Freeloader,” from Miles Davis’s Kind of Blue (SACD/CD, Columbia CS 64935). Wynton Kelly’s well-proportioned acoustic piano emanated from behind my left speaker, sounding expectedly fast yet pleasantly precise in its transient control. Jimmy Cobb’s cymbal taps shimmered from the right, balancing out the stage and welcoming Davis as his clean, raspy trumpet tone anchored the center. Again, a sense of dimensionality and image specificity was maintained through this track that got my foot tapping, and prompted repeated pressings of the Back button. When I swapped interconnects back to the Marantz, to engage its proprietary 32/192 DACs, the sound remained surprisingly resolved but was more relaxed, though it lacked the Classé’s last measures of dimension, control, focus, and bottom-end grunt. When I began the listening for this review, I set out to determine if Classé Audio’s Sigma SSP really was born of two-channel DNA, or if it was more a home-theater processor adapted to excel with music. In the end, I believe the former to be the case. With music, be it as an analog preamplifier or a dedicated DAC-processor, it will take a trained ear to hear the differences between the Sigma SSP and Classé’s $1000-more-costly CP-800 two-channel pre-pro. They offer similar levels of transparency, control, focus, and neutrality, complemented by unbeatable ergonomics, rock-solid build quality, and the pride of owning something unique in the market place. With films, the Sigma SSP effortlessly provided an engrossing home-theater experience enhanced by the inclusion of one of the best remote-control apps in the industry. If you’re in the market for a versatile preamplifier-processor that reproduces music and movies with ease, Classé’s Sigma SSP should be on your shortlist.